Cranmers Mound is a Norman earthwork motte and bailey fortress, with a later reference to Archbishop Thomas Cranmer. The low motte and the two rectangular courts were all enclosed by wet ditches, which is part of later water management. During the post-medieval period, the motte was used as a prospect mound and the moated platforms to the east of the mound, are presumably the site of the original bailey. 7 miles south-east is Belvoir Castle and 12 miles west is Nottingham Castle. Cranmers Mound is located in Aslockton, off Main Street. 12 miles east of Nottingham, on the A52. 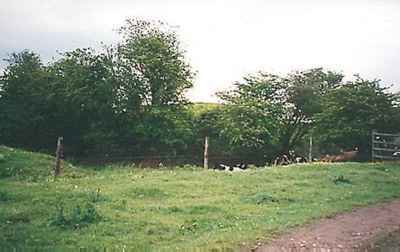 The site is visible from the public footpath, which passes the castle from Main Street.